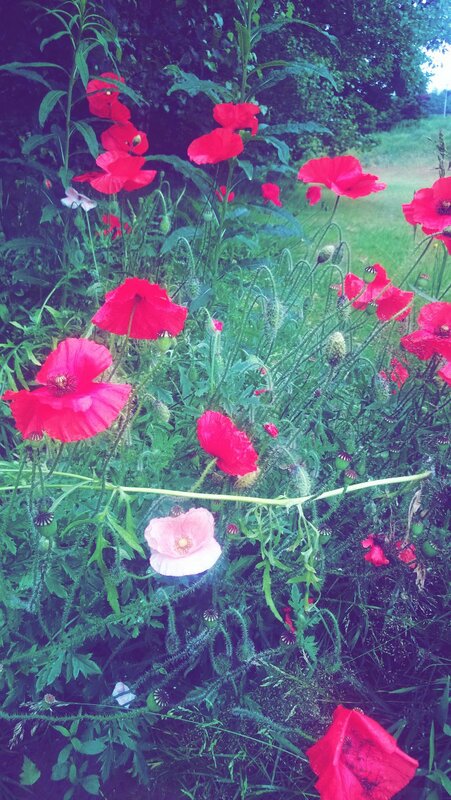 I love to see the poppies out in bloom but trying to get Mollie to sit near them and pose was a little hard as she just wanted to run. So many dogs around for Mollie to chase at this time of day. Lovely flowrers and puppy. Have a lovely weekend. 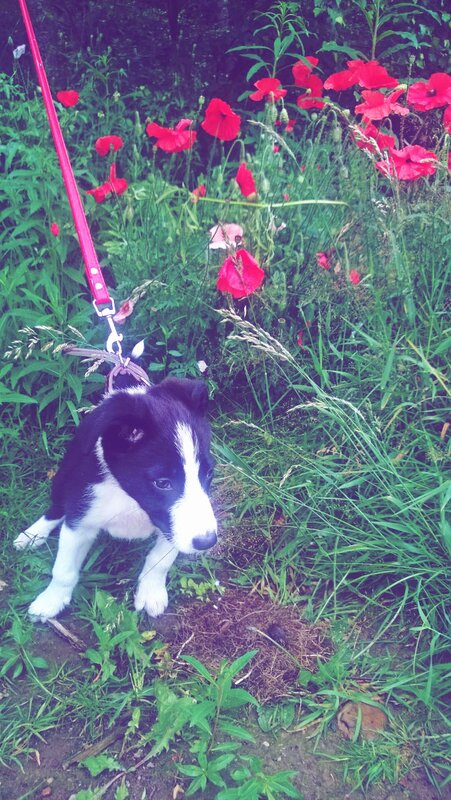 Lovely poppies, cute puppy! Thanks for sharing. I am new to your blog....will visit more often. Love the poppies and the puppy! 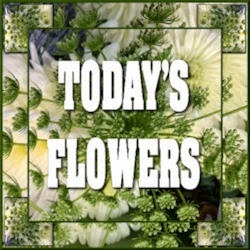 Thanks for participating in the Floral Friday Fotos meme! 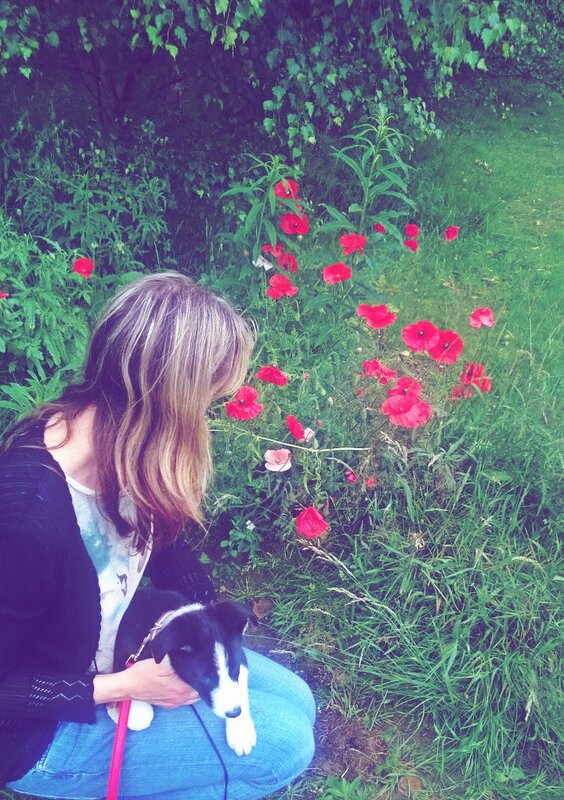 Love the poppies and the puppy! Yeah, getting a 12 week old anything to do what you want is a monumental feat!